This award-winning weather app uses crowd-sourcing data and delivers minute by minute updates, making it the most accurate weather forecast app out there. What is the AccuWeather App? It’s a FREE app that tells you what the weather is going to be like at home or on holiday in huge detail and way in advance. What does the AccuWeather App do? It uses a range of sophisticated features to give you all the meteorological data you could ever want to know for anywhere in the world. Users should note that currently the minute-by-minute forecast is limited to the [contiguous] United States, Canada, Sweden, Denmark, United Kingdom, Ireland, Japan, France, Spain, Germany, Belgium, Switzerland, Netherlands, and Luxembourg, but it is being continuously rolled out at a growing list of global locations. AccuWeather MinuteCast® – minute-by-minute precipitation forecasts hyper-localized to an exact street address or GPS location. 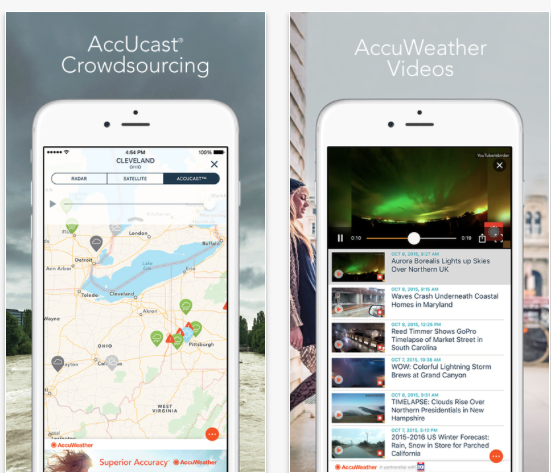 AccUcast™ – View the real-time crowdsourced map with weather conditions submitted by users all over the world in a global animation display. Descriptive weather animations illustrating the weather forecast for right now, each of the next 72 hours, and each of the next 15 days. Customisable current weather conditions detail – so you only see what is useful to you. Forecasts update every 15 minutes… in 33 languages and dialects! 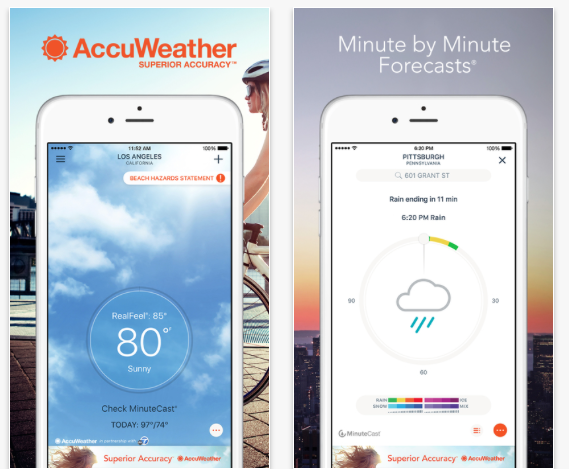 Why is AccuWeather good as a travel app? A 15 day forecast is all that you need to make sure that your suitcase contains all of the right clothes for your adventure! This great forecast range also means you can also pick and choose activities that suit the weather well ahead of time. 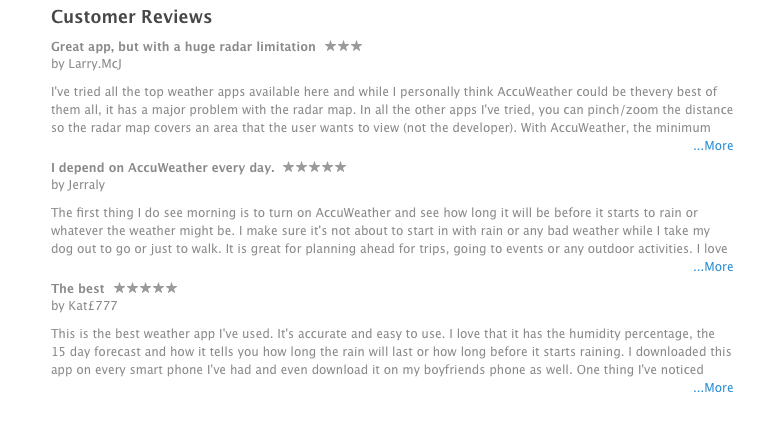 What do the AccuWeather App reviews say? This entry was posted in travel apps on August 25, 2017 by worldwideinsure.